Right now the Swift is available with ZERO %APR on all models! 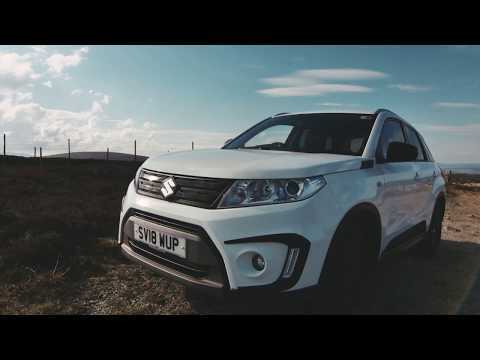 PLUS £500 Finance Deposit Allowance on the SZ-T, the NEW Attitude and the SZ5. Minimum Period 25 months - Max Period 49 months. For more details about the incredible deals on the Swift. Come and see us today. 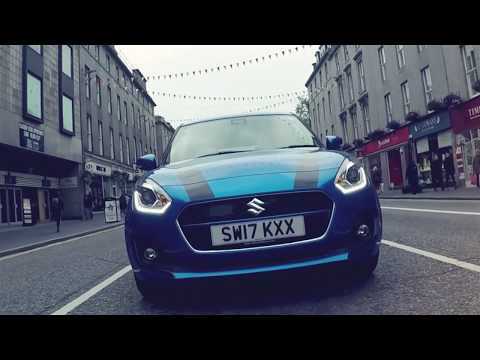 The Suzuki Swift is a versatile high performer that’s great in a city like Aberdeen but will do more than hold it’s own on the A90 south or driven on our countless B Roads. The look of the Swift really hasn’t changed too much over the past few years, but now it’s more curvy with sculpts and a bolder nose with condensed headlights giving it a more muscular profile and sporty, edgy appeal to all drivers of the North East.It’s also a five-door that’s practical for families as well as professionals.We sell Swifts to the widest range of motorists and that’s not just because of it’s looks - but how it performs. The Suzuki Swift is a comfortable drive, with a low-slung seating position.The interior differs slightly in finish from model to model - but Suzuki are known for their high quality finish even with the entry model so you’ve nothing to worry about there.It feels clutter-free with plenty of legroom for the front passenger.Two of the three models come with a touchscreen infotainment system that’s innovative and easy to use adding to the Suzuki driving experience. There are a few options regarding what you find ‘under the hood’ - with a range of petrol and hybrid options.The incredible 1.0 litre 110bhp BoosterJet engine has to be driven to be believed!An engine that leaves many speechless after their test drive having driven other cars of a smilier size.You also have a 1.2 litre 89bhp variant making it perfect for the city drive.A hybrid option which will save more on fuel is also avaialble - the best thing to do is to ask one of our sales teams to keep you right, before sampling one for yourself. As well as great engine options the new Swift not only came with a new design, but it’s lighter than before.Plus for North East drivers who need a four-wheel option then the Swift can cater for you there too!So from the shire to the city - The Swift does and will hold its own. As standard you get DAB radio and also Bluetooth® connectivity meaning listening to music and making calls from your mobile device is possible.The mid-range SZ-T comes with reversing camera to make parking even easier, whilst the SZ5 comes with a seven-inch touchscreen ‘Infotainment’ system that gives you Android Auto and Apple Car Play compatibility.It also gets more in the way of safety features too, like Lane Departure warning and Autonomous Emergency Braking, and using a laser hidden behind the Suzuki badge on the nose there’s Advanced Forward Detection that can detect potential hazards.Impressed? Just wait till you drive one. Come see us at C&M McDonald and get yourself behind the wheel for a test drive soon.